I’ve been saying it for years: Fall is my favourite fashion season. 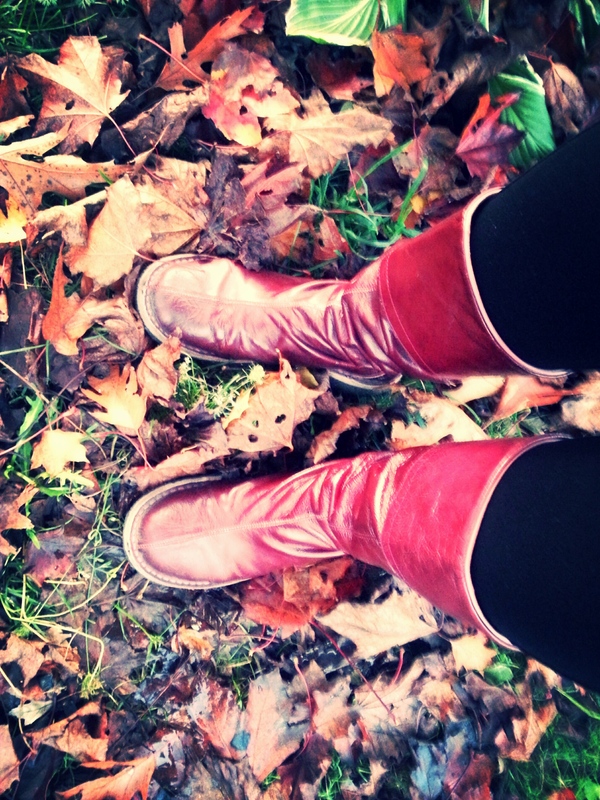 With the onset of fall, there is inevitable talk of boots. I love boots. Boots are great. I believe everyone should own one pair of perfect boots. I paid what I thought at the time was too much for them, but it was my first trip to Paris, and I did that thing where I saw them in the shop, and I went back to the hotel and kept thinking about them, so I returned to the shop the next day and bought them. That was about ten years ago, and I’ve worn them every year since then. I don’t remember how much they were, but clearly they were worth every Euro Cent. There are classics that work for lots of people and look great for years, and then there are pieces that defy trends and become part of one’s signature style. These boots are unquestionably Me. Even on days like today, when I’m not loving what I’m wearing or how I look, these boots invigorate me like nothing else I own. They are magic. They are an aubergine dream. Have you found your magic boots? Let’s see some pics.